Karin is a Holistic Health Coach & Scientist who counsels those that are struggling to maintain overall health in their demanding and busy lives. After seeing her own health deteriorate and relationships suffer due to a stressful and draining lifestyle working in the US Biotech and Medical Research field, she decided to reprioritize her life and focus on what mattered most; health, happiness, and overall balance, while still doing what she loves. She now compassionately leads others to find their unique balance in life, improve their nutrition, reduce stress, boost productivity, and regain their vitality and mental clarity. When she is not coaching clients, she works as Medical Genomics & Personalized Medicine Technology Consultant. Karin’s clients boast of a natural anti-aging effect and increased energy levels that result in a youthful glow produced from the inside out. Karin possesses the knowledge and skill to artfully incorporate methods that have been used for centuries with those that are scientifically proven through modern medicine to create unique, personalized programs for each of her clients. 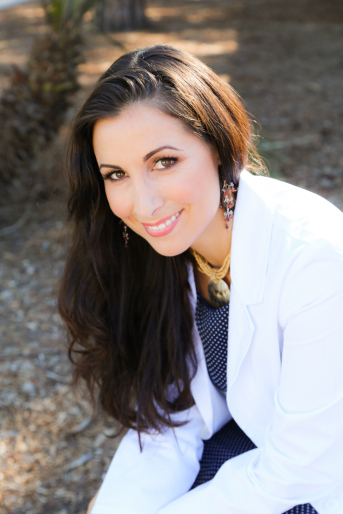 Her unique approach to holistic wellness stems from her vast expertise in the biotech and medical research industries paired with her certification from the Institute of Integrative Nutrition (IIN). While at IIN she studied a variety of dietary theories and practical lifestyle coaching methods. With this blend of knowledge, she co-creates a completely personalized action plan based on the client goals to move towards the ideal vision of health for their unique body, lifestyle, preferences, and resources. Learn more about Karin's training and unique approach to health coaching. Are you curious about how health coaching can help you? Schedule an initial consultation today.